Excellent splash-proof technology ,no more resistance between you and the rain. 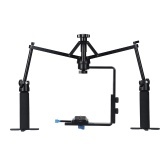 360° unlimited rotation of pan axis allows to capture wider view. Original multi-function knob provide more precise control. 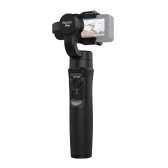 The multi-function knob realizes zoom and follow focus(follow focus: only for partial camera models). Anti-detachable 1/4-inch thumb screw design, which could be compatible with action camera, smartphone, digital camera and mirrorless camera. Vicool and FeiyuON support bilaterally to meet your different needs. 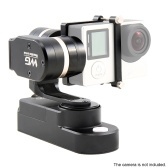 5000mAh battery provides a full supply of power to gimbal and camera. Multiple working modes fit for most scenes. Function button operations: Two-letter abbreviations for working modes: Panning mode--HF; Follow mode--AF; Lock mode--LK. 1. Single tap: Switch between panning mode (default mode) and lock mode. 2. Double tap: Follow mode, enter lock mode by single-tapping in this mode , and enter panning mode by single-tapping if in lock mode. 3. 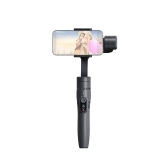 Triple tap: The lens can be rotated 180°in horizontal, working together with the function of manual lock, you can take a selfie or video with special angle. Double tap trigger button to reset to default position. 4. 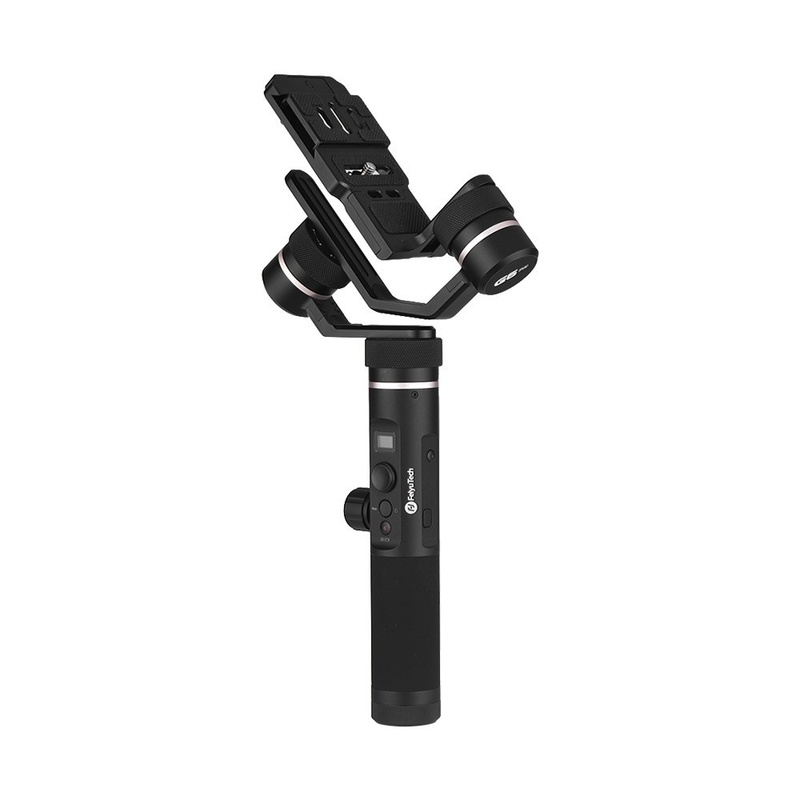 Quadruple tap: Auto-rotation Mode, perfectly fit for time-lapse. You can set up the start, the finish and the rotation route by hand in this mode. When setting is done, gimbal will be automatically rotated following pre-set route in a constant speed, which was set in APP before. 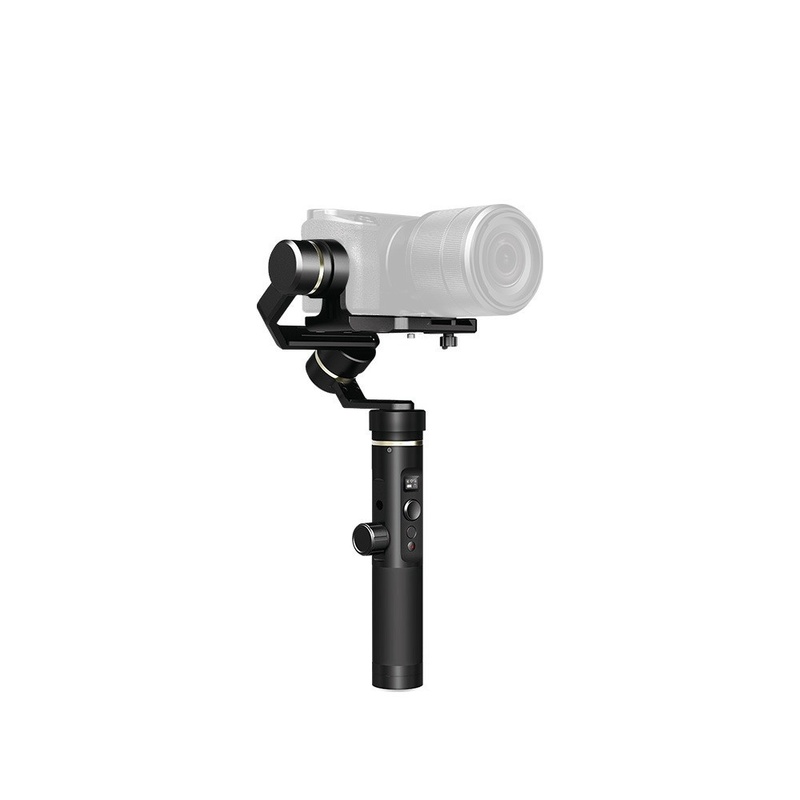 After rotating finish, the gimbal will stop in the finish position (Find more details in the manual of G6 Plus). 5. Quintuple tap: Initialize the gimbal in order to get correct attitude parameters when it is not level or in abnormal status. 1. Press and hold: Enter lock mode. Release it to go back to the previous mode. 2. 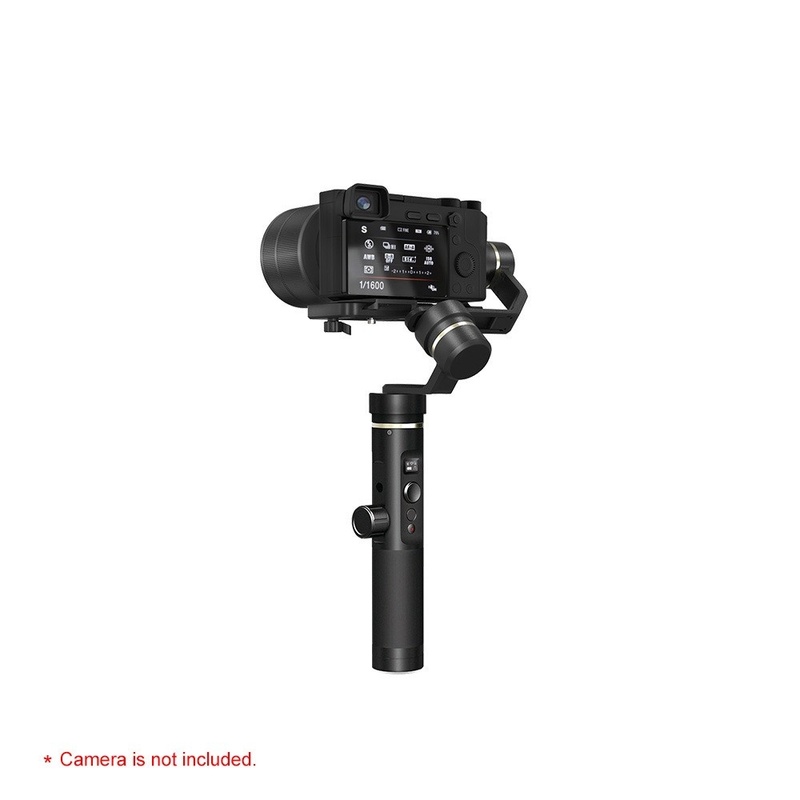 Double tap: Reset the gimbal, it will go back to panning mode no matter what current mode is, and three axes are reset to default position. Move it to the left or right to control roll axis to move up and down (Roll: ±30°) in any of three modes. A Sorry, it does nor support Canon EOS M50 . It for Canon M10 (15-45mm lens) and Canon G3X, etc. 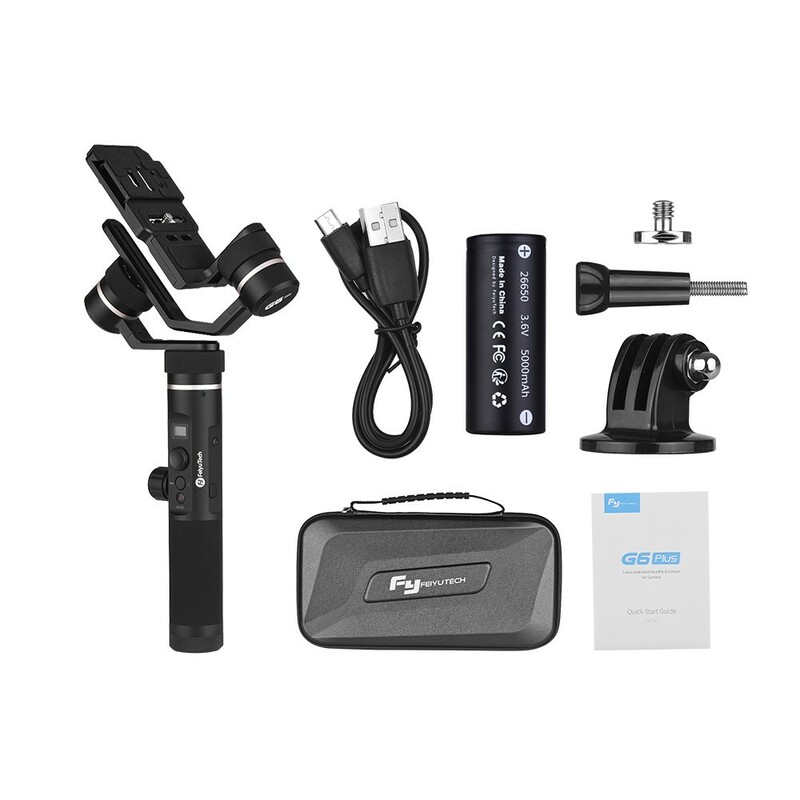 Q Feiyu g6 plus Can i use it for lumix g6 panasonic? 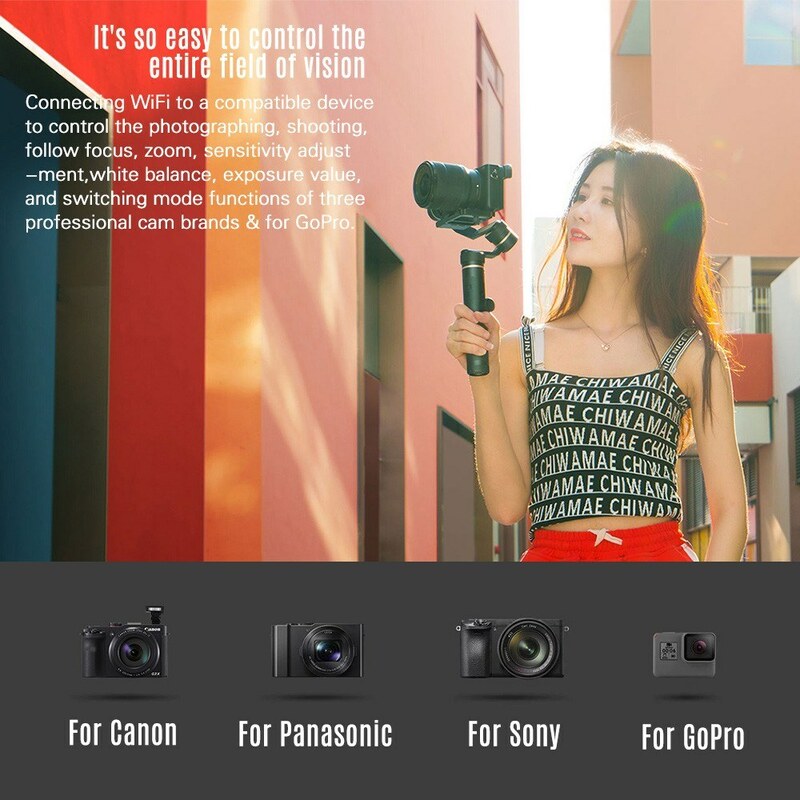 Q Can i use it for lumix g6 panasonic? 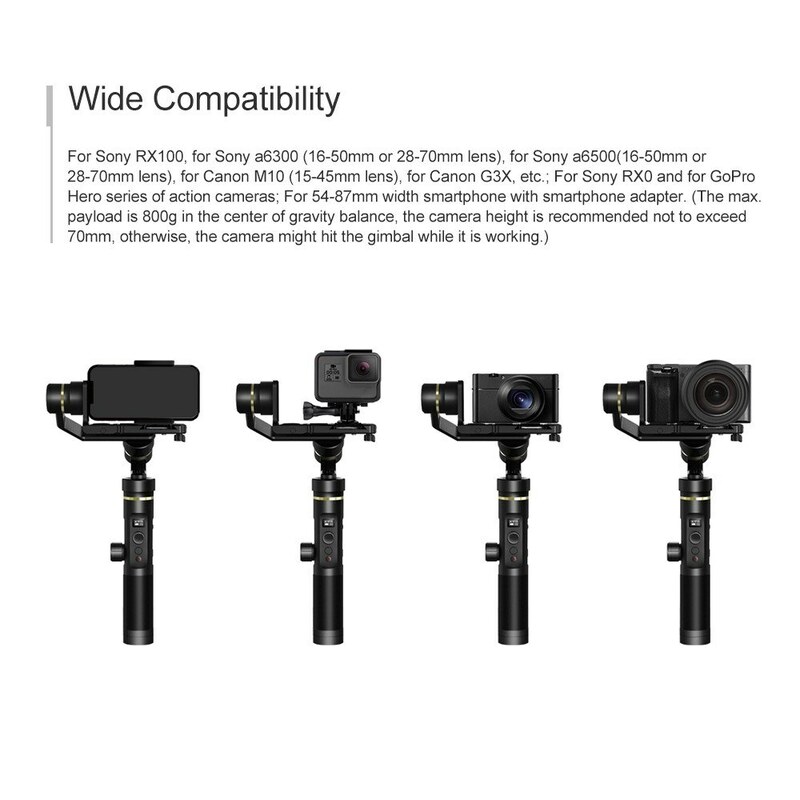 Q Can I use Olympus OMD E-M10 camera with Feiyu G6 Plus (dimension 119 x 82 x 46 mm)? Is this camera too big? 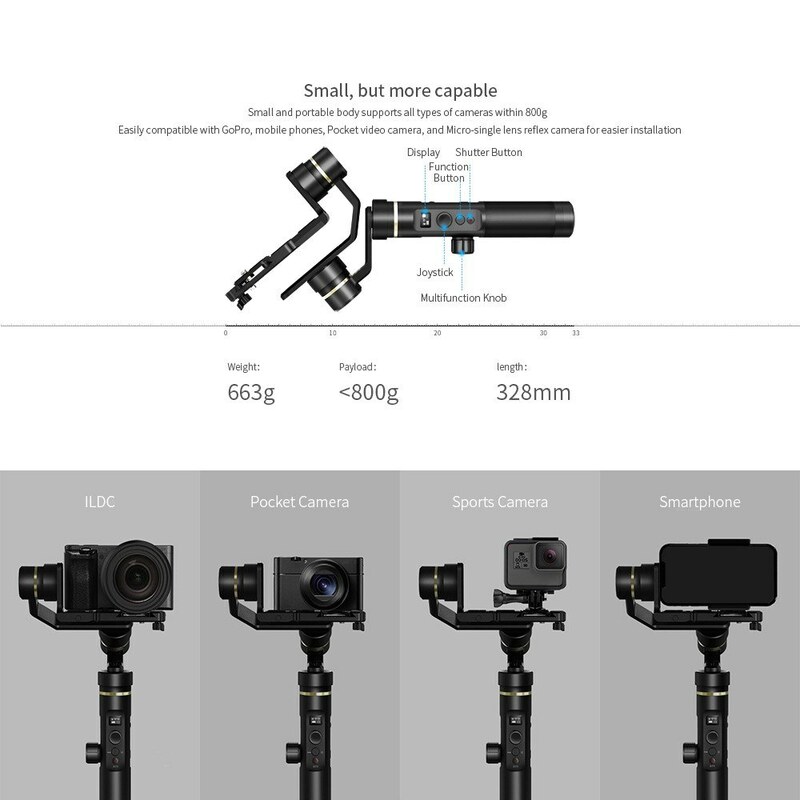 Q 1.Can SJCAM SJ8 pro connect to GIMBAL and use remote buttons from gunbal? 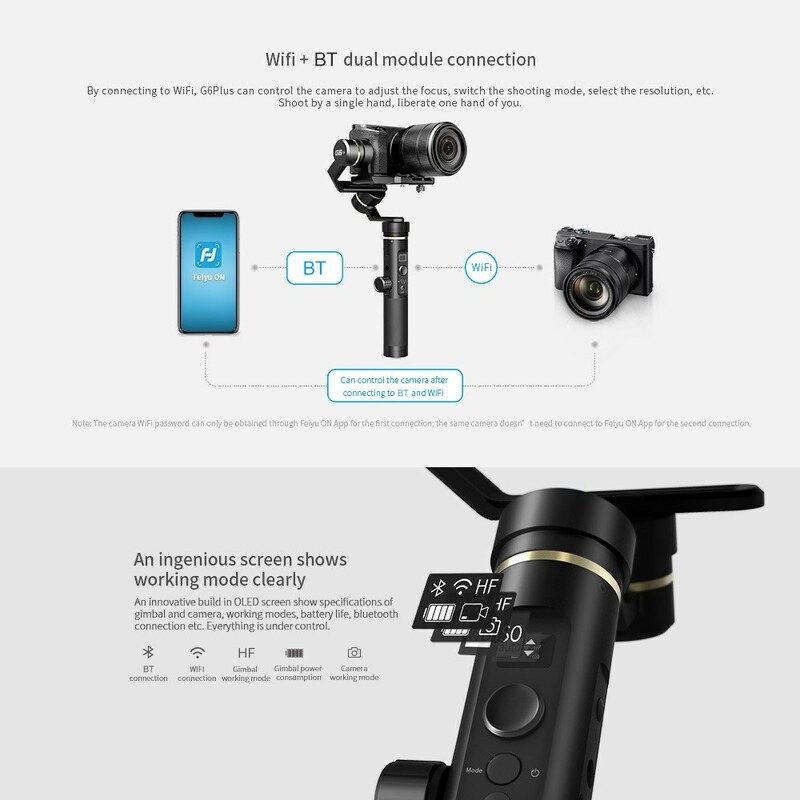 1, Same question Android phones can be operated with gimbal buttons? A 1. Single tap: Switch between panning mode (default mode) and lock mode. 2. Double tap: Follow mode, enter lock mode by single-tapping in this mode , and enter panning mode by single-tapping if in lock mode. 3. 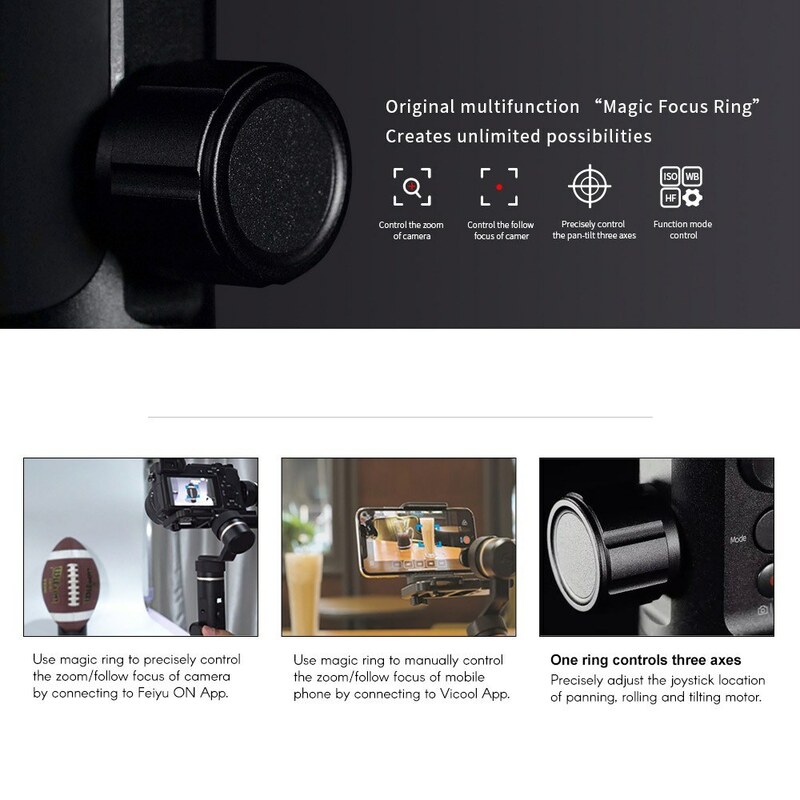 Triple tap: The lens can be rotated 180°in horizontal, working together with the function of manual lock, you can take a selfie or video with special angle. Double tap trigger button to reset to default position. 4. 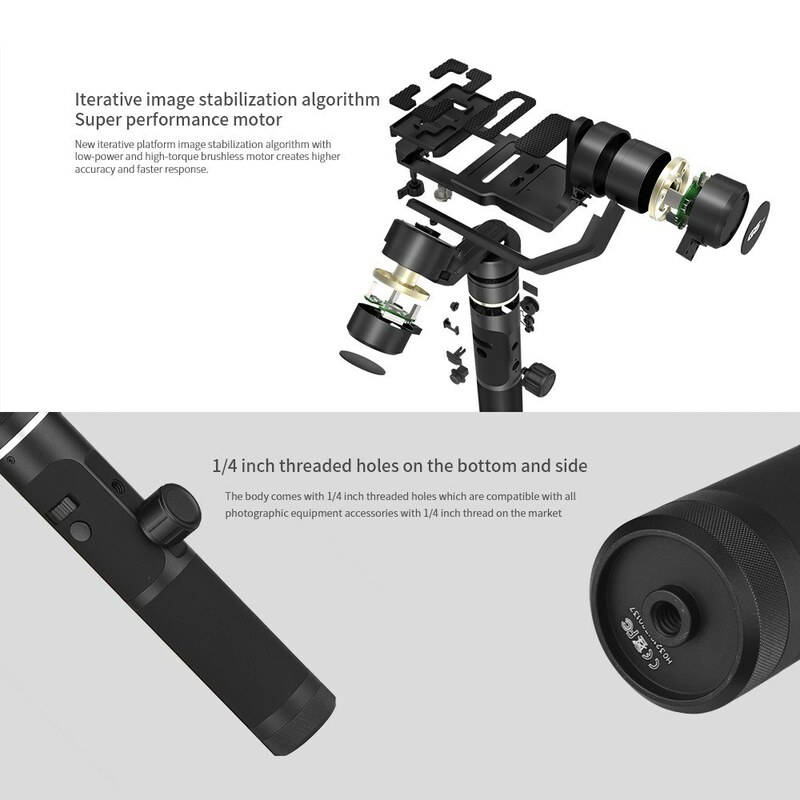 Quadruple tap: Auto-rotation Mode, perfectly fit for time-lapse. You can set up the start, the finish and the rotation route by hand in this mode. When setting is done, gimbal will be automatically rotated following pre-set route in a constant speed, which was set in APP before. 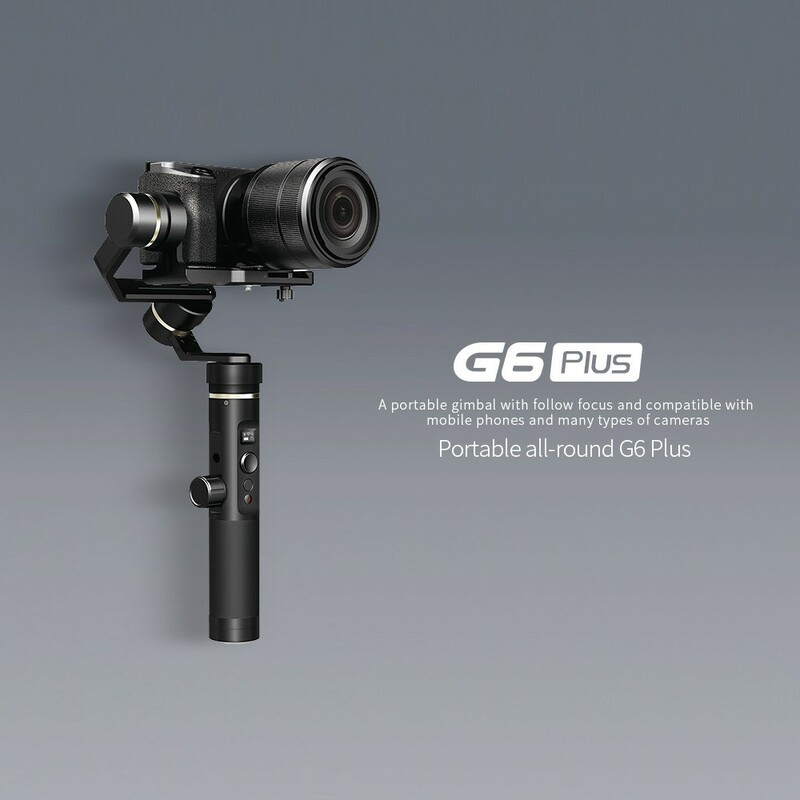 After rotating finish, the gimbal will stop in the finish position (Find more details in the manual of G6 Plus). Q Is there a mobile holder in the package? 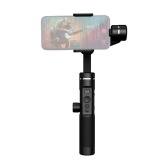 Really good product, super quality and super price ! 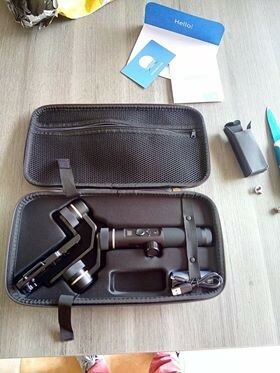 nice price, nice product, 15 days for europe delivery. Perfect. The Packaging was was greatly wrinkled.